PTE will always seek to be tax responsible. We actively seek out challenges and suggestions as to how best to do that as a small business, limited by shares, based in London. We will always open up on the issues that will help determine and demonstrate how tax responsible we are. We will do so as this aligns with our values, but not solely for this reason. PTE Ltd, the company that has created, develops and manages Responsible 100, did not make an operating profit or a taxable profit in the last accounting period therefore there is no tax payable. No applicable tax rate can be calculated. The company would have been taxed at the standard 20% rate if any tax were payable. An explanation as to why no profit was generated will be forthcoming by the end of January 2017. The R100 concept dates back to 2002 and a realisation that, to be credible in the claims they made, businesses could not be left to cherry pick which responsibility issues they wished to report against. From charitable giving to animal testing to modern slavery to diversity in the workplace, executive pay, lobbying government, and tax, all issues affecting business and society matter. 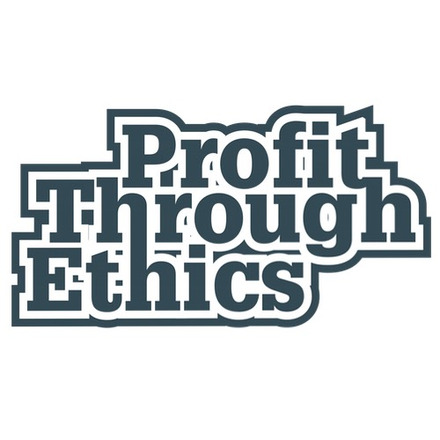 PTE is pro-business and pro-profit. While founded in 2003, for all intents and purposes, the company remains a start-up. Responsible 100 has emerged from years of development and prototyping work. We were financed for many years almost entirely through very patient capital. Our investors hoped that one day they would make a financial return, but were nonetheless aligned with and supportive of our mission. The shareholders of the business are also broadly aligned in their views of taxation, its uses and importance. Government has a responsibility to foster vibrant markets and conditions in which commerce and innovation can flourish. Business has a responsibility to enable government and to contribute adequately to the public purse. Taxation plays critical roles in this. Tax revenue is essential to building and maintaining healthy, inclusive society. Business, the state and society are interdependent: they flourish or flounder together. We believe that all businesses should be prepared to explain their policies and practices, on tax and all other responsibility issues. PTE is candid. We commit to and demonstrate honesty, transparency and accountability as an organisation. We encourage and enable all businesses and organisations to do the same. We believe that these attributes will increasingly drive business success and profitability in the future. Our views and values are clear. We think tax is a particularly important business issue, as does the public. It surpassed climate change as the highest priority responsibility issue for business in the eyes of the UK public four years ago, according to the Institute of Business Ethics, and has remained there since. It is an issue that regularly makes the headlines and is covered by left wing and right wing media alike. The tax debate is fundamentally about fairness. Whether you think we should live in a low tax / small state society or a big state / high tax society, people and organisations should be treated equally. The view of ‘the 99%’ is that everyone should pay tax at the rates mandated by the state’s tax authorities, irrespective of their relative wealth, power and influence. Tax dodging by those prepared to game the system offends our innate human sense of fair play. We work with a range of experts, investors, businesses and non-business organisations on fair tax. We are proud to support a multi-stakeholder, collaborative effort to understand and uncover all business policies and practices relating to tax, and to determine which should be considered POOR, OKAY, GOOD and EXCELLENT. We believe that all businesses committed to doing this will, over the medium and long term, increase opportunities, enhance reputation, differentiate positively to all stakeholder groups, reduce risks and reduce their cost of capital. We are by no means alone in these beliefs. Our sense is that the increasingly accepted view is that short term gains derived from paying less tax as a result of aggressive avoidance measures diminish shareholder value in the long term. And, as such, aggressive avoidance measures are less and less common for purely business reasons.